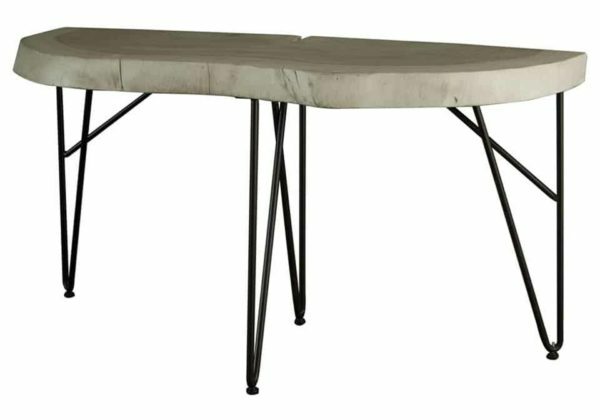 The Metro Live Edge Sofa Table takes live edge to your living room. Made of Solid Parota Wood, each unique table has its own personality and each is as heavy as this solid wood table appears. The Table is part of the International Furniture Direct Live Edge Collection. Built with 100% solid Parota wood. The Parota tree is appreciated for its longevity and vibrant dark golden grain.This type of wood has a natural two-tone that offers unique character in its variations of tone and depth. Match the coffee table with the matching sofa table and round end tables. This is solid wood that lasts a lifetime. 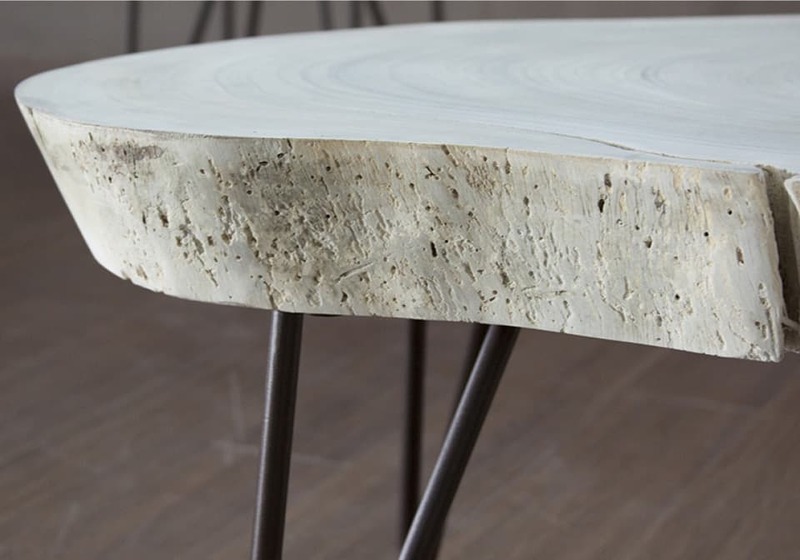 Beautiful solid wood offers lifetime value, durability and beauty. Wood finish penetrates each piece of wood according to the density of each piece of lumber. All pieces are finished to blend together although natural wood will have its unique markings, grain, and color. Powder-coated finish won’t chip or fade.